A/B testing enables online store owners to sift out the elements that are most effective from the ones that require design improvements. It is a scientific approach to maximizing your site’s potential through an optimal design that is effective and directed towards meeting your site’s goals. When it comes to successful e-commerce, the best of the best online stores constantly A/B test their page elements for the simple reason that there is always room for design improvement. Making an educated guess based on experiments will nearly always prove to be more effective than going down the hard path with trial and error to see what works best with your target market. In this post, we will cover everything A/B testing – what it is and how it is beneficial for your site or online store. We will also run the rule over some of the best A/B testing tools and plugins that are currently available in the market to help you set up your own system for carrying out the tests. A/B testing is a method for measuring two or more versions of a page element to determine which one is more successful based on preset criteria. The core process behind A/B testing is pretty simple when it comes to web design. From an e-commerce perspective, you can measure just about every page element on your web page or landing page including pricing tables, headlines, promotional offers, copy, layouts, and call to action buttons. The central idea behind A/B testing your online store, or any website for that matter, is that you’re aiming to create the best design possible for your viewership or clientele. If you’re still not convinced though then maybe the following reasons might help you reach a different outlook. Boost sales. A/B testing your page’s elements is a surefire way of increasing your sales. Many times the reason customers don’t reach your Checkout page is due to a poor design. By testing out your online store’s navigation or shopping cart placement, you can achieve a design that reflects optimal usability. Increase traffic. Have you heard about that really great website that everyone goes to but it has a very bad design? Exactly! No one has. Regularly A/B testing your website’s design and layout is a great way to ensure that your visitors and potential customers aren’t bouncing off because they feel that the site is rather unsightly (pun intended). Reduce design iterations. If you’ve ever had to design a site for a client then chances are that you’ve run into some clients that make some pesky demands that don’t really work out all that well from a web design perspective. And this may also force you to take lots of re-dos and re-takes and you end up completely remaking the whole thing. A/B testing reduces design iterations by showing your clients what works and what doesn’t – all based on real-world data. With all of these benefits that you can very easily reap from A/B testing your website, it would not be wise to forgo it. In this section, we’ll run the rule over two of the best A/B testing plugins for WordPress which allow you to test your site’s page elements without having to leave the WordPress dashboard. Additionally, we will also explore two online tools that are designed to A/B test your website. Nelio AB Testing offers the most powerful and versatile conversion optimization for WordPress. The plugin is designed to help you define, manage and keep track of all of your A/B testing experiments. The standout feature on offer with Nelio AB Testing is that it creates heat maps for your website that allows you to see what your site’s visitors do when they land on your webpage. The Nelio AB Testing is also fully compatible with the popular WooCommerce plugin, enabling webmasters and online store owners to A/B test their e-commerce stores. In addition to this Nelio AB Testing is designed as a lightweight plugin that takes all the processing load from your site’s server and swings it back over to Nelio Software’s cloud. This one of a kind plugin allows users to create alternative content for their page, post and custom post types. It allows webmasters to go beyond the simple tests and start testing page elements that are more promising. These include headlines, widgets, themes, CSS, and menus. One of the best things about Nelio AB Testing is that it is incredibly easy to set up for all kinds of users regardless of their technical expertise. The free version of the plugin features all the basic functionality to start A/B testing your site’s page elements. When your free trial is over you can subscribe to one of the premium plans to continue improving your site’s design. For $29 per month, you can sign up for Nelio AB Testing’s Basic plan which is great for individuals, bloggers, and small stores. The $89 per month Professional plan is ideal for small business owners and small to medium sized companies. If you have a large business then you can opt for the $259 per month Enterprise plan. WordPress Calls to Action is a multipurpose plugin that enables webmasters to monitor and improve conversion rates, customize their call to action template and run A/B split tests. The plugin is designed with the needs of online businesses in mind. It’s inbound marketing best practices help entrepreneurs drive and convert more leads on their websites. Call to action – whether they are placed in your site’s header or tucked neatly into a button – are an ideal way to convert your site’s viewership into active leads, customers or subscribers. The WordPress Calls to Action plugin allows users to create beautiful calls to action buttons on their website and lets them preview the changes on the go with the built-in Visual Editor. After testing out your calls to action, you can opt for pop-up calls to action designed for improved conversion rates based on how your viewership responds in the experiments. WordPress Calls to Action also allows users to track conversion rates for each of the calls to action ensuring continual optimization of their marketing efforts. One of the best features about WordPress Calls to Action is that it allows users to clone existing calls to action. This way, the user does not have to re-create the same call to action in order to run an A/B test on multiple variations. WordPress Calls to Action is available free to download from the WordPress plugin repository. Visual Web Optimizer is one of the most flexible multi-variant testing tools available online for A/B testing. Designed with marketing professionals in mind, this tools is used by thousands of leading brands across the globe, including Microsoft, Target, Lenovo, and Toyota. It allows users to create and A/B test different versions of their website, view heat maps, measure visitor segment metrics and target specific user types. Visual Web Optimizer equally divides your website’s traffic among all the variations and helps you track which one performs the best with your viewership – automatically. With its inbuilt reporting functionality, you know the statistical validity of each variation. The online tool’s point and click system enable webmasters to build campaigns visually within minutes without having to code. The standout feature on offer with Visual Web Optimizer is that the tool generates an in-depth report that details how your designs performed against the goals you’ve set. In addition to this, you also get a notification every time a particular design variation outperforms the original. Visual Web Optimizer also ships with a heat map tool that enables webmasters to analyze their visitor’s click behavior on their website. This powerful feature highlights the distracting elements of your design and helps you create a more optimized design based on real-world data. The Startup plan is available for $49 per month which caters to 10,000 unique monthly visitors. The Business plan starts at $129 per month catering to 30,000 monthly visitors. Visual Web Optimizer also offers an Enterprise plan starting at $999 per month for large agencies and enterprise deployment. Optimizely is a robust and easy to use A/B testing tool that aims to generate user engagement and increase revenue. The tool can be used to experiment with page element designs on any site, including the web, mobile web, iOS and Android mobile apps. The tool comes with an inbuilt Stats Engine that enables webmasters to take experiment decisions quickly based on statistical data. Optimizely’s visual editor allows users to brainstorm and create experiments without having to code a single line. The point and click interface is incredibly easy and intuitive. Webmasters can choose to target optimized experiences by splitting their visitors into multiple groups based on ad campaigns, cookies, or geographical location. 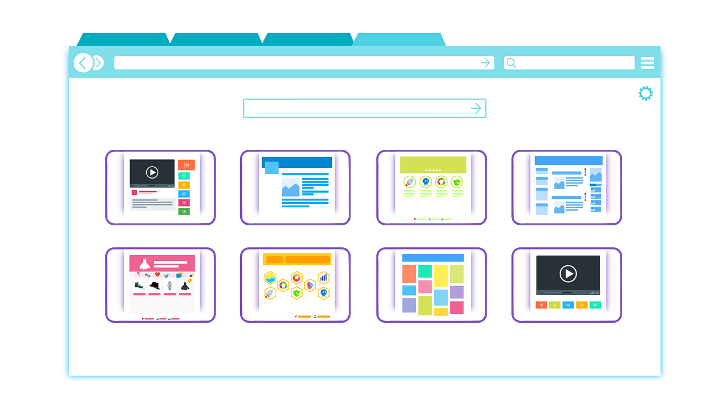 The standout feature on offer with Optimizely is that it enables users to segment their test results based on the visitors’ browser, campaign, or device to uncover key insights. This online tool is used some of the biggest industry names in both the digital and real world including Netflix, eBay, Sony, Discovery Channel and The Walt Disney Company, among many others. The tools are available for a free trial for a period of 30 days after which you can sign up for the Standard, Professional or Premium plan. The Standard plan starts at $999 per month and includes everything you need to start A/B testing your site. The Professional and Enterprise plans are custom plans and will cost you based on your requirements. With the right tools up your sleeve, you can A/B test just about any page element on your WordPress website to increase conversion rates. Whether you decide to go for a WordPress plugin or a professional online tool that is entirely based on your site’s or your business’s requirements. Were you able to A/B test your websites using the plugins and tools on our list? Do you use a different method, plugin, or tool to A/B test your WordPress site? We’d love to hear all about it so hit us up in the comments below to share your experience!